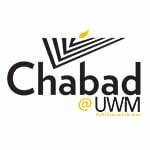 Thank you for supporting the Jewish student community in Milwaukee. Your gift will give students a warm place to feel at home for Rosh Hashanah, Yom Kippur and Sukkot. Thank you for your generosity.